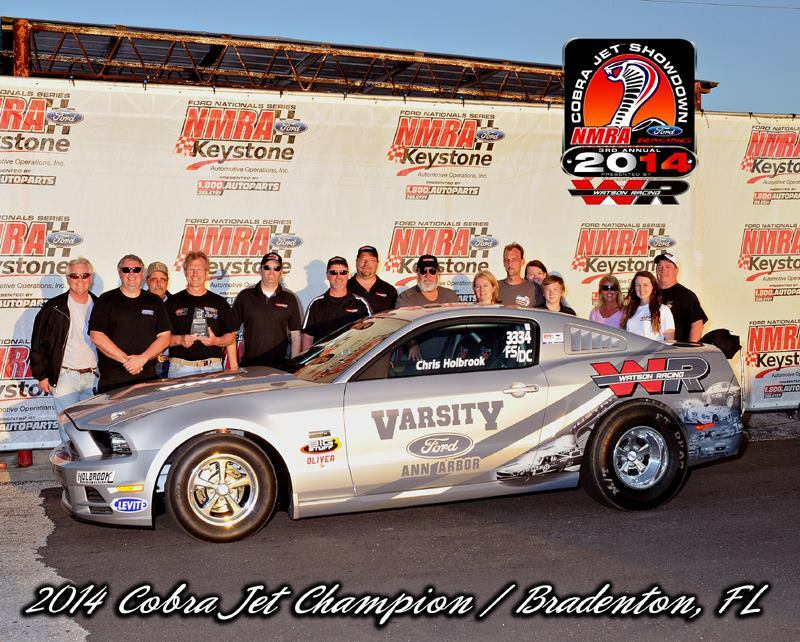 Bradenton Cobra Jet Showdown 2014 Winner – Chris Holbrook with Watson Racing! It was a good weekend for Watson Racing in Bradenton. Watson Racing debuted its New Super Stocker and ran a 7.921. Chris Holbrook took the win in the Cobra Jet Showdown with a 8.505. We’re looking forward to the Gatornationals next weekend and Atlanta 3/10-3/13 for the 2nd NMRA race of the season where Valerie Clements will be back and ready to dominate Renegade! Great start to a very promising season. See you at the track!